And the best part is, dear Martha gives you the entire party plan. 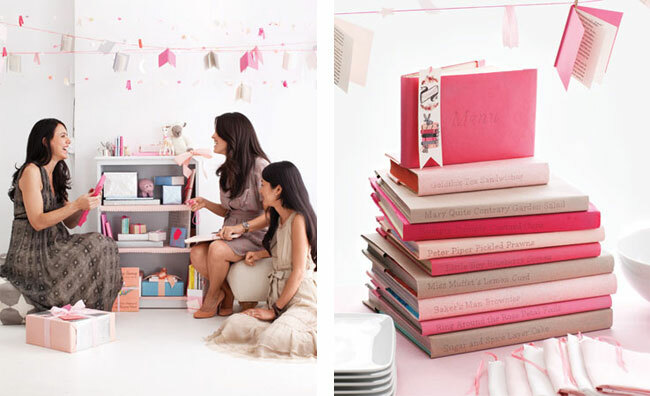 I know this is a dream come true for you timid party-planners! 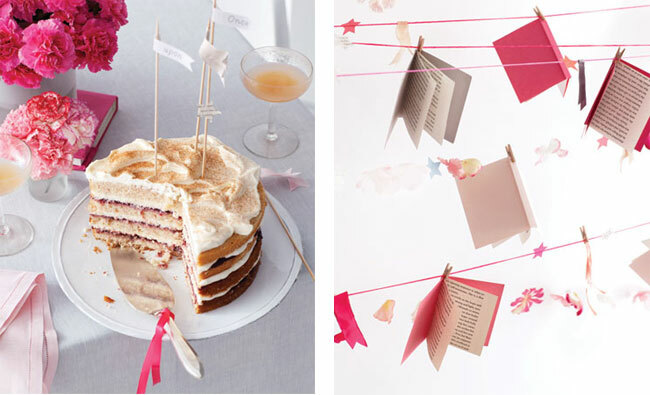 There's DIY instructions for the decorations, which include a mini-book garland and covered books. 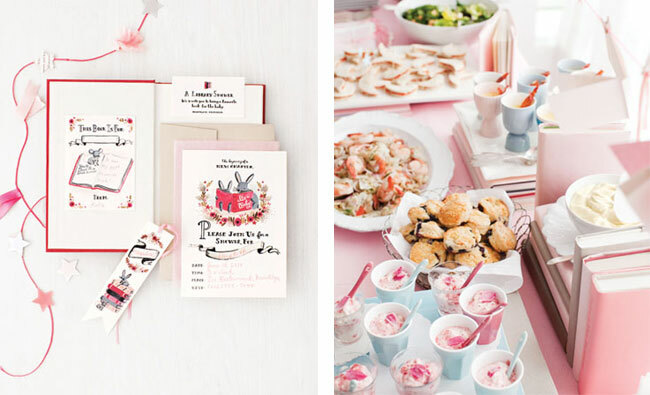 A nursery-rhyme menu is included, complete with recipes. My absolute favorite? Free printable invitations, bookplates, and bookmarks designed by my beloved Rifle Paper Co. This would be a wonderful theme to adapt for a birthday party! It could also be a great option for a second baby when the usual essentials aren't needed but you still want a little party. Click here for the full party plan from MarthaStewart.com! Do you know what font she used for the book covers? Or do you think it was handwritten? I'm not sure what font was used, it's not stated on the website. I don't think it was handwritten, though that would be lovely as well.